I have had a little secret….! Hope you will join in the fun! 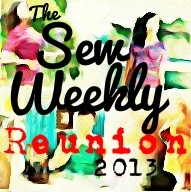 You are as good at keeping secrets as you are at sewing! 🙂 That’s a very, very long time to hold such fantastic news. And please, do remember to send me links. I’m so busy with working full time that I miss so much online, and I definitely do not want to miss this. So exciting! Already set to series record, but I’ll obviously be watching along too! Well done! Thank you! It was filmed last May!!!!! We told the children at school yesterday and they are sooooooo excited! And so am I !! First live radio interview on Saturday! WOW!!!!!! So exciting! After following your blog for a while, I can’t wait to see you in real life, even if it is via the medium of telly. Literally cannot wait! Woohoo! I could hardly believe it when I saw the photo! Well done you. I know you already know everything and are totally sworn to secrecy, but I *really* hope you do well in this!!!! I will be rooting for you every Wednesday evening! (Just thinking, have I got any can’t-get-out-of-it appointments for the next few Wednesdays? Just one? Well thank heavens for IPlayer). It’s Thursday’s !! From next week! Thank you! I’m so proper excited for you!!! I’d just opened my reader and saw you on red point tailors blog before I scrolled down and saw your post. What a shock! You look fab on the photo! Really can’t wait to see you on the telly! I got short listed last year and am tempted to try and this year. I can’t believe it either! Haha! It’s great fun! Wow, congratulations! 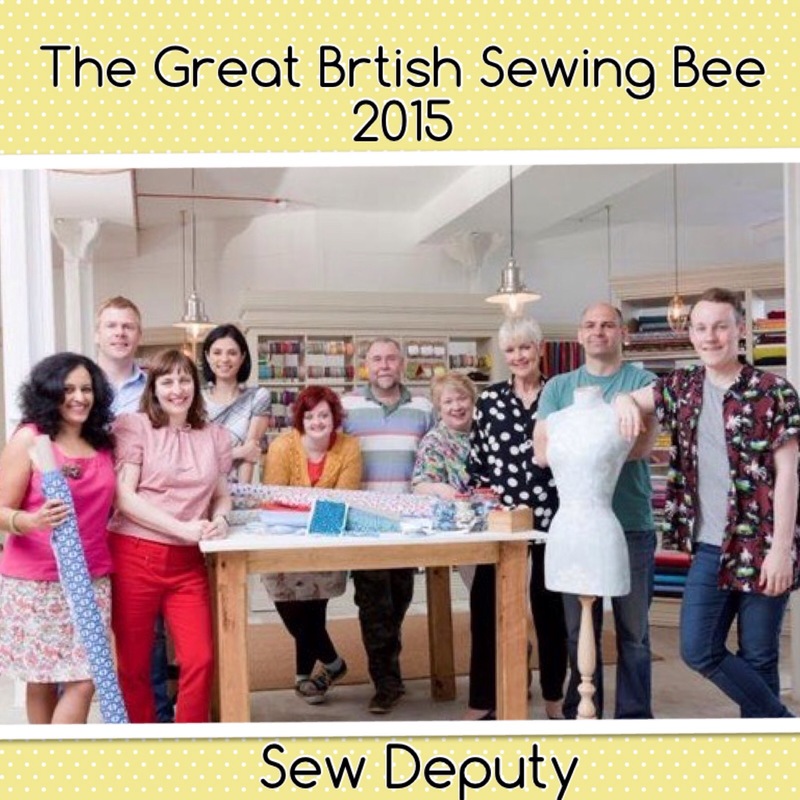 I’m sure you’ll have a fantastic time – it always looks like they have so much fun on the Sewing Bee. Will be extra cool to watch this time. I’ve followed your blog for a while, so does that count as “knowing someone famous”? Absolutely!!!!! I feel like you are all my friends because everyone gets sooooo bored with my sewing chat! It is funny though that we are all online friends and don’t know what anyone sounds like! I just saw a photo of the new Sewing Bee contestants, on Love Sewing Facebook feed and thought that looks like Amanda! How exciting, it is you! Yay! I wish I could watch it. Only got to see season 1 as it was on YouTube. How exciting! Looking forward to seeing you later!! I guess it’s time to renew my subscription to the little piece of software that lets me watch the BBC. I missed the last series, I really don’t want to miss this one. It looks like you’re having fun! Oh wow! That must have been such an exciting time for you! Will be watching! Super exciting – really looking forward to it! Exciting Amanda! Will have to search it out on You Tube or something, I loved the other series’. Funny that we will get to actually see you and hear your voice 🙂 Fingers crossed! Can’t believe you managed to keep it to yourself! oh!!!!! that’s you in red trousers, isn’t it? I wish we had the BBC here so I could watch!